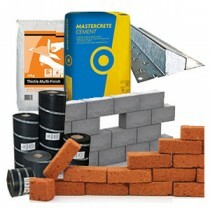 We stock a huge range of heavyside building products to get you from below ground up. Including industry leading brands such as Tarmac, Blue Circle, Cemex, Rugby, Plasmor, LBC, Forterra, Hanson, Thermalite, Celcon, Marshalls, Ibstock, Stressline, IG, Brett and much more. No matter what the job, we are sure to have you covered with same and next day delivery services.